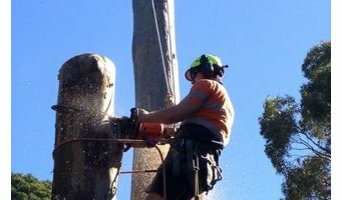 Tree Lopping Professionals Brisbane, Specializes in Tree and Palm Removal. We Service the Greater Brisbane Area, Including South Brisbane, North Brisbane, Logan and the Gold and Sunshine Coasts. We are Fully Insures and Licensed. We are not the Run of the Mill Tree Service Company, But Rather the Gentleman of the Industry. With Family Friendly Language, we are Always Polite, Courteous and Highly Professional with a Focus on Safety for All. Tree Removal Brisbane North is available 24/7 which means you can cal anytime when you need us for all your tree removal service needs. No matter what kind of tree lopping problem is it we have the experience, equipment, and training to handle all your tree related problems. We take pride of our professional staff who serves our customers with tree lopping and tree removal services throughout the Brisbane Northside area in Queensland, including suburbs such as Albany Creek, Carseldine, Everton Park, Bray Park, Chermside, Aspley, and Samford. Chip Off The Old Block is a personalised and professional Brisbane tree service company with four generations of industry knowledge and experience. Owner operator, Eric Devjak, is a 4th generation arborist with 10 years servicing Brisbane Tree Removal and Stump Grinding Needs . Based on Brisbane South Side, Chip Off The Old Block cover the greater Brisbane and Gold Coast Regions working in both residential and commercial areas based in Balmoral, Bulimba, Hawthorne, Morningside, Carina, Camp Hill, Coorparoo, Upper Mount Gravatt and the Wider Brisbane, Gold Coast and Ipswich Area. Our services Include •Tree Lopping and Tree Removal •Tree Cutting, Pruning and Shaping •Hedging and Trimming •Complete Tree Removal •Stump Grinding and Removal •24 Hour Emergency Tree Service So Call us today at Chip Off the Old Block for your free no obligation tree removal or stump grinding quote. Our friendly staff would love to help you with your tree lopping needs. Capalaba Tree Removal is fully customer focused. 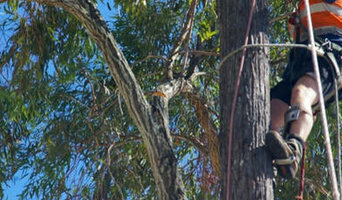 You will get the complete solution from our qualified tree lopping Brisbane Experts. Our professional team removes the trees and its stumps safely, as well will leave your surroundings clean at no additional tree removal cost. We use the latest types of equipment and tree removal techniques at Capalaba Tree Removal and expertly remove hard-to-manage trees. Our experts can access difficult areas easily adhering to proper safety guidelines. If you are looking for alternative tree saving option, then we are expert in tree lopping Brisbane. We have a highly experienced team of tree lopper. Our expert tree felling can also advise you on specific need within a phone call at 0730640654. Capalaba Tree Removal - Wynnum, offer tree removal, grinding, tree lopping and tree removal in areas such as Wynnum, Wynnum West as well as Tingalpa. Capalaba Tree Removal has a large workforce of certified professionals that offer tree lopping service and advice. We can work on all sorts of trees, plants or bushes and do tree stump removal, be it in commercial or private properties. With our service, there’s no such thing as big or small trees. We will do it all. Also with new homes, renovations like decks or new structures being built like a shed or verandah we know that these trees and also their root structure can get in the way and also compromise the buildings structural sturdiness. We can either remove the tree; branches stump and all so you can reclaim the land and build on it. Ashgrove Tree Services provides a complete range of tree services, land clearing services and property maintenance services for all commercial and residential customers in the Northern Suburbs of Brisbane. To discuss your needs and to organise an obligation free evaluation of your project, please call the professional and dependable team at Ashgrove Tree Services today. Do you have a tree that needs trimming, pruning or just total removal? 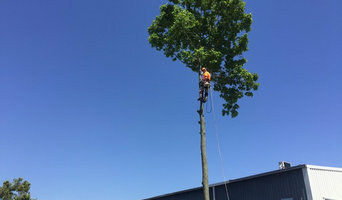 Well, look no further because whatever you need done from grinding to removal of the tree is offered by our arborist technicians at Pro Tree Removal Brisbane. We are a locally Brisbane based company with its operations spanning over ten years. We’re insured and licensed to carry out all tree trimmings, pruning and removal in South East Queensland. 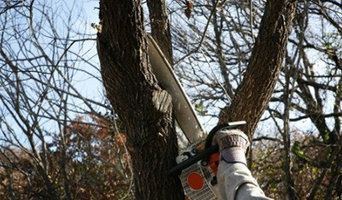 Our arborists are highly trained and experienced in tree care and removal. They work passionately paying great attention to health and safety of everyone. Our clients include small-scale farm owners to commercial land owners. The services we offer are affordable and reliable and we guarantee our customers 100% satisfaction. Advantages of choosing us? · Have Ten Years Experience · We’ve Licensed Arborists · We offer All Tree Lopping Services · Affordable and Reliable Services · Locally Brisbane Based · 100% Guaranteed Satisfaction Our Services are as follows: · Tree Relocation · Tree Lopping · Stump Grinding · Tree Mulching · Tree Pruning and Maintenance · Tree Removal · Palm Tree Removal/Cleaning · Land Clearing · Emergency Storm Damage Our Service Locations are in: · Sunshine Coast · Ipswich and Toowoomba · West and East Brisbane · Brisbane Southside · Brisbane North side · Gold Coast · Tweed Heads · Northern New South Wales For expert tree removal services, call our friendly team today for prompt services as well free quote. 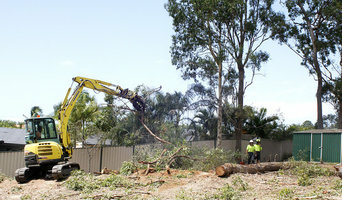 North Brisbane Trees are tree removal and tree lopping experts based in Brisbane, Australia. We also provide tree pruning, palm tree cleaning, stump grinding, and gutter cleaning services. We sell garden mulch and firewood. We are fully equipped, fully insured and comply with health and safety regulations. We are a local family run business offering top quality affordable tree lopping services throughout Brisbanes East. Our team are fully qualified and insured with over 15 years experience in the local tree care / tree lopping and Arboricultural industry. Call today for your free no obligation quote or visit our website for more information regarding our company and services. Basic tree surgery involves pruning trees that have overgrown; cutting down branches that are dangerous or growing too high, far or wide; or shaping the whole tree. However, many tree surgeons in Taigum, QLD, AU can carry out a number of other tree services, including tree planting, felling whole trees, trimming hedges or large plants, tree stump removal and even installing tree lights. Arborists will be more technically trained and can diagnose tree diseases as well as advising on how best to prune and maintain your trees. Unfortunately, trees don’t grow overnight but instead need a bit of lasting care and attention. To make sure they get the best start, ask a Taigum, QLD, AU tree surgeon if they will carry out tree planting for you and give you advice on how to look after your new saplings. Arborists should definitely be able to do this, and most tree surgeons will too, but not necessarily so it’s always best to check before on the exact tree services they offer. Arborists will also be able to advise you on where to plant your trees and whether you have the suitable ground soil for them. Whatever your tree care problem, you can find Taigum, QLD, AU tree surgeons and more tree services on Houzz to help you. If you’re planning on landscaping your garden as well as adding some trees, then you should talk to gardening professionals at the same time as tree surgery specialists. Here are some related professionals and vendors to complement the work of tree services: Landscape Contractors, Landscape Architects & Garden Designers, Garden & Landscape Supplies. Find tree service professionals on Houzz. Look in the Professionals section under Taigum, QLD, AU tree services. You can look through arborists’ and tree surgeons’ portfolios and read reviews to see what past clients have to say.